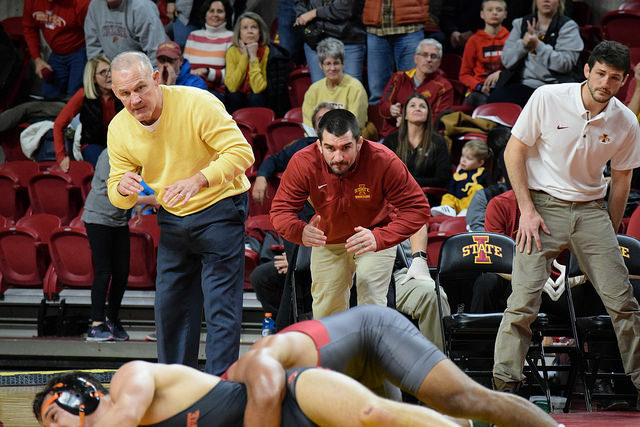 At the end of last season, we did a recap on Kevin Dresser’s first full season at Iowa State and a brief look ahead. At the time there was no doubt that program was trending in the right direction, but the team still looked to be at least another season away from being a national threat. That was mainly due to the lineup being on the young side and without a lot of experience. While that fact still remains true the team got stronger with the addition of Missouri transfer Willie Miklus, and that addition alone could provide an update at two weights. The team also got a second notable transfer in Oklahoma State’s Ethan Andersen, a native of Southeast Polk high school that could have an impact on the lineup moving forward. That’s of course due to last year’s starter Marcus Harrington deciding to forgo his final year of eligibility in favor of beginning the next chapter of his life outside of the mat. Through the first seven weights there is virtually no change between the expected lineup back in March to today’s. The only notable exception is sophomore Markus Simmons has left the team which means that redshirt freshman Austin Gomez will be the main contender to start at 133 pounds. Most (including us) expected Gomez to win the spot from Simmons. 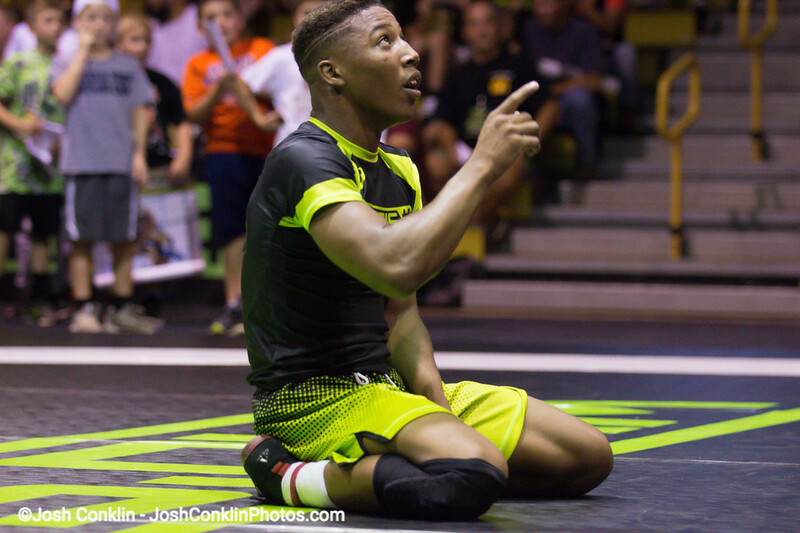 Additionally Gomez has always been considered a high end talent, but he still managed to impressed many this off season with his wins at the Junior US Open and at the Junior World Team Trials. 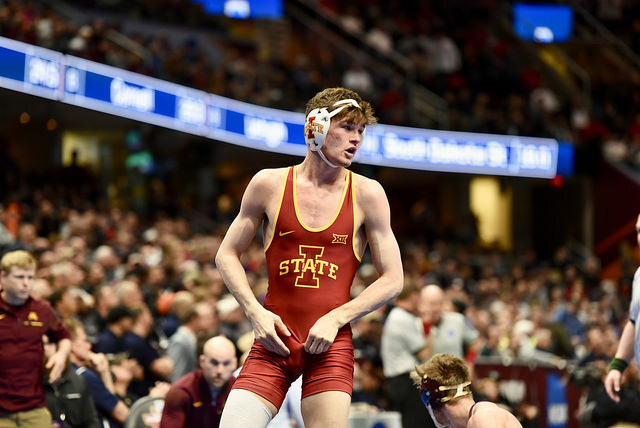 Moving to the upper weights it never hurts to add a three-time All-American and Miklus has been as consistent as one could hope for in his career despite battling injuries. His addition to the team caused a ripple effect which is supposedly causing Sammy Colbray to drop a weight to 184 pounds where he should challenge Danny Bush for that starting spot. The departure of Harrington opens the door for sophomores Gannon Gremmel and the aforementioned Andersen to step into the lineup. Once high school rivals, the pair once again find themselves battling for the top spot, this time as teammates. Gremmel is the more credentialed of the two going 20-8 last season. The biggest accomplishment in the last 12 months for Gremmel was winning the 2018 Junior US Open where he defeated Wisconsin’s Trent Hillger and NDSU’s Brandon Metz. This past year also displayed what Dresser is capable as a recruiter as Iowa State landed a top 10 overall class. In that group there looks to be two wrestlers with the potential to start within the first two seasons of eligibility, David Carr and Joel Shapiro. Both wrestlers will likely redshirt this coming season, similar to what we saw Gomez and Coleman do last year. With ISU not expected to contend for a conference title, let alone team trophy Dresser will likely give his wrestlers an extra year of development. With that said Carr is probably the best option at 157/165 already and has the tools to compete as a true freshman. He is the most likely option to compete without redshirt, but Dresser has preached patience during this rebuild. Shapiro on the other hand has the benefit of having two solid options ahead of him at 184 with Colbray and Bush, so there is no need to rush the West Des Moines product. 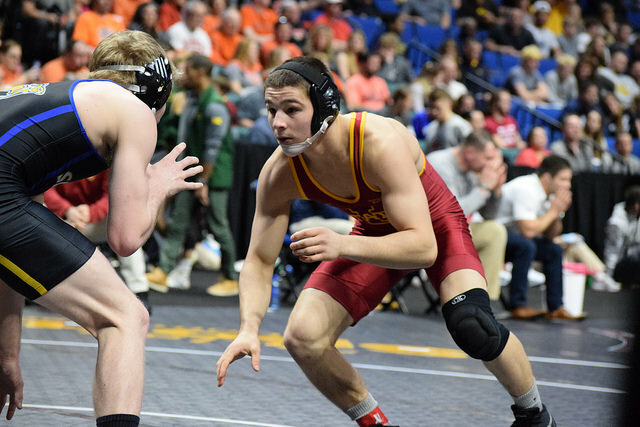 Moving to two years out we see most of Iowa State’s young lineup return, graduating seniors St. John and Miklus. More than likely Colbray will shift back to 197 which will help lessen the loss of Miklus, and make room for Shapiro to jump in at 184. Its a bit up in the air whether or not Carr will compete at 157 or 165 (consensus right now feels 165 more likely). Two year starter Chase Straw competed at 74 kg (163 pounds) this summer, so regardless of where Carr goes, Straw has the ability to stay in the lineup. Although if Straw bumps to 165 he will need to win the spot from Brady Jennings. The rest of the lineup should remain unchanged. Seven of 2018-19’s projected starters are underclassmen. Iowa State already has a pair of recruits in the class of 2019 that we should see redshirt. Aden Reeves of Albia along with New Jersey prep Chris Foca both top 100 recruits. Reeves will project at 125 pounds and with Mackall being just a junior by this season the redshirt seems certain. Foca projects at 165/174 and with Marcus Coleman cemented at 174 he could be better suited to contend at 165. As we look to project the Cyclone lineup three years out I feel its necessary to state this is a bit of a crap shoot. If someone would have tried to project this year’s lineup three years ago no one could have foreseen the fact that Mackall, Degen, Miklus, and Andersen would all be contending for a starting spot. With the new NCAA transfer rules, injuries, and the development and recruiting aspect this lineup could be much different than what is listed above. As mentioned several times previously, this coming season’s lineup is extremely young and 2020-21 will potentially be a big season with the class of 2016 hitting their final year of eligibility. The class was considered top five nationally, and that was without the likes of Degen, Mackall, and Andersen who were all top 100 recruits in their own right. We certainly expect the Cyclones to continue to trend in the positive direction, but this season looks to be when Iowa State is well positioned to make some noise nationally. It’s probably a tad optimistic to have Carr down at 157 and Foca come in at 165, but with Coleman, Shapiro, and Colbray manning 174, 184, and 197 respectively this may be the only way to fit all of their big names into the lineup. Obviously by doing a look ahead we are examining the recruiting aspect as well. As it looks now, the Cyclones have a young team which could result and a fairly consistent lineup over this three year stretch. After that the team could experience massive turnover which makes the targets in this year and next years’ class worth watching. The future of 141 and 149 is uncertain after Parker and Degen, so it wouldn’t be surprising at all to see those weights addressed via recruiting. July 30, 2018 in Iowa State Cyclones.